If you are anything like me Ellen DeGeneres is someone you love watching and know how many amazing prizes she gives away because of her giving nature!! Of course with someone so popular and someone who gives away so many prizes the scammers try to take advantage of the fame and scam you!! As fast as Facebook can remove these fake pages claiming to be associated with the Ellen show another one quickly gets made. There are a few things as a Canadian fan of Ellen you should know about her giveaways and if you can win too. Can You Win a Prize from Ellen in Canada? YES! Faithful fans reached out to Ellen years ago very sad that they weren't able to enter her contests since they were only ever open to residents of the United States. Ellen wasn't even aware of that rule and quickly put herself to work to make sure that her Canadian fans could enter and win prizes too! 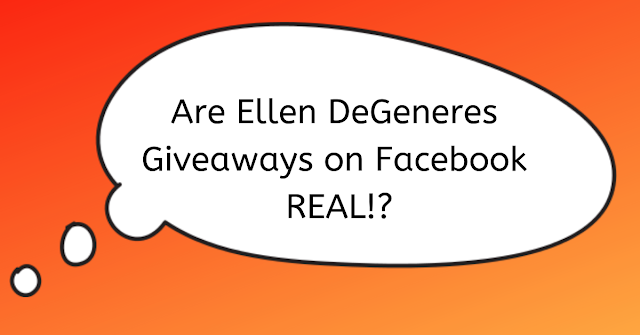 Where can you find the legitimate Ellen Giveaways and Contests? Ellen does not giveaway prizes on Facebook. All her contests and giveaways are held on her website and her show. The only legitimate Ellen DeGeneres Facebook page is the one with the little blue check. This means that Facebook has verified legally that Ellen is the actual owner of that page and its the ONLY official page. A great tip from a group member (who is amazing at the in's and out's of contests) is to watch for a (.) 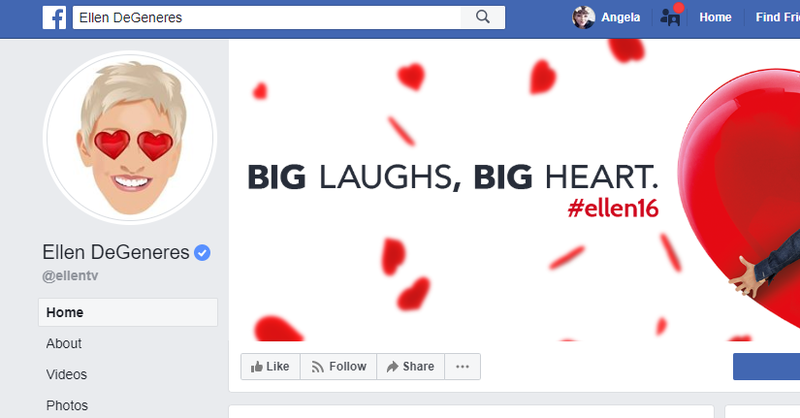 at the end of fake Ellen Facebook page names. This right away tells you something is off. Scammers are hoping you won't notice the period at the end of the page name. Make sure to read all the rules and terms not every contest will be open to Canada, but most are thanks to a few faithful fans just stepping up and asking for us to all be included. Always look for that very important blue check mark when entering celebrity giveaways.